14.12.2015 Ukraine Military Report 3 out of 5 based on 2 ratings. 2 user reviews. Kiev’s rhetoric and actions have continued to ratchet up this week, due to the combination of US VP Joe Biden’s visit to Kiev which created a need for Ukraine to look like a victim of Russian aggression, and the continued crisis in Russian-Turkish relations following the shooting down of a Russian Su-24M bomber and the death of two Russian servicemembers. The rhetoric included Poroshenko’s assertion that Ukraine will strengthen forces along the border with the Russian Republic of Crimea and the Transnistria enclave in order to allegedly cover these approaches against a possible incursion. Poroshenko did not indicate which forces would be deployed, however, there were troop movements reported in Odessa which is in the vicinity of Transnistria, including heavy rocket artillery like the BM-22. 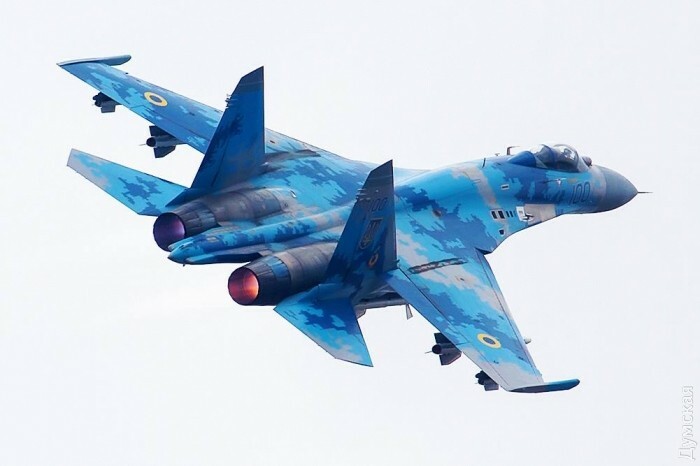 There are also reports of Su-27 fighters being deployed to the Odessa region. These deployments suggest preparations for a possible air blockade of Transnistria, in order to prevent the Russian contingent there from being resupplied or reinforced. Ukrainian media continue to spotlight UAF brigade exercises on a scale not seen since right before the start of the ATO. Recent exercises included the 58th Motorized Infantry Brigade based in Sumy. Though the units displaying the highest level of activity are the airmobile brigades which have been reorganized into “mobile brigades” to serve as rapid reaction forces. Nearly all UAF training exercises involve a river crossing component suggesting preparations for offensive operations against LPR/DPR. One must also consider the possibility Ukraine is not planning to go to war alone. There are reports that Ukraine and Turkey are discussing military-technical cooperation on modernizing armored vehicles. No specific contracts have been mentioned, and Ukraine’s poor financial state means that the country probably cannot afford to buy any of Turkey’s armored vehicles which are not considered top-quality in any event. Furthermore, Turkey is most likely not interested in financing the UAF, but it might be willing to buy any military technologies of interest to its military, such as reactive armor, automatic loaders, and other Malyshev trade secrets. Turkey is, after all, working on its very own Altay MBT and is interested in modernizing its older tanks. Equipment situation remains poor, and UAF units are increasingly forced to rely on improvisations. One more widespread local improvisation is the use of 57mm rocket pods usually used by attack helicopters and aircraft on converted Strela-10M self-propelled SAM launchers to function as fire support vehicles. Since the 57mm rockets were intended for short-range direct fire against visible targets, they are likely to be highly inaccurate when used in the indirect fire role, and so far there have been no DPR reports of having come under fire from such weapons. Ukrainian media continue to report the Malyshev plant will begin to supply the UAF with Oplot MBTs in 2016, once the Thailand contract is completed, and will also modernize T-64B tanks to the T-64BM Bulat variant. However, the numbers cited are very low, a “few tens of vehicles” at most. Ominously, and also very typically, the new vehicles are to be sent to the ATO zone. Whether this is just typical Kiev rhetoric or an indication of preparations for a genuine offensive in 2016 remains to be seen.